During Barack Obama’s two terms as president, the US offered Saudi Arabia $115 billion worth of arms in 42 separate deals, the Center for International Policy, a US-based anti-war think tank reported in September. It estimated that US arms offers to Saudi Arabia were more than any US administration in the history of the US-Saudi relationship. In December, the White House blocked the transfer of some weaponry to Saudi Arabia, over concerns about the civilian death toll from the kingdom's bombing campaign in Yemen. "We have made clear that US security cooperation is not a blank check," a senior administration official told AFP. "Consequently, we have decided to not move forward with some foreign military sales (FMS) cases for munitions." "This reflects our continued, strong concerns with the flaws in the coalition's targeting practices and overall prosecution of the air campaign in Yemen," he added. 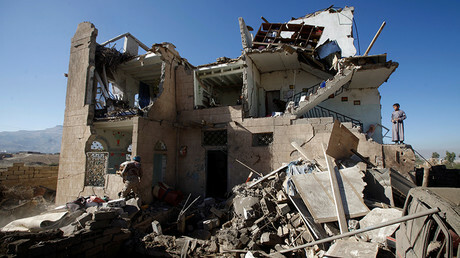 Gareth Porter, an investigative journalist, told RT earlier in February that “the Obama administration has been essentially tied to the Saudi interests in Yemen, as they have been in Syria to a great extent of the past by the degree to which the permanent government in the US – the Pentagon, the CIA, the NSA – all have very, very close relations with their counterparts in Saudi Arabia. “These war powers in the US are very unwilling to have any US policy that would criticize, much less take away, support for the Saudi war so that these arrangements can continue. I am very much afraid that the Trump administration will be subject to the same logic, the same political forces that have kept the Obama administration from taking any responsibility for what is going on in Yemen,” he said. 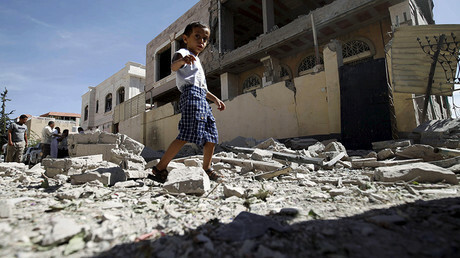 The death toll in the Yemeni conflict has surpassed 10,000 people, and almost 40,000 people have been wounded, a senior UN official said in January. The British government refused to stop selling arms to Saudi Arabia in November, rejecting calls from two parliamentary committees and human rights groups. According to Campaign Against the Arms Trade (CAAT), Britain licensed £3.3 billion (US$4.1 billion) of arms sales to Riyadh during the first 12 months of the Yemen war. Since the beginning of the conflict, there have been multiple reports of Saudi jets targeting schools, hospitals, marketplaces and other civilian buildings. 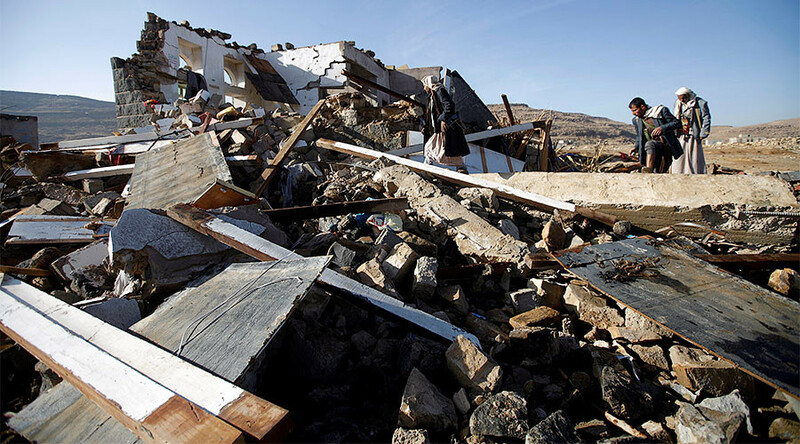 Airstrikes carried out by the Saudi-led coalition of nine Arab states in Yemen are responsible for the majority of civilians killed in the ongoing conflict, the UN found in August, while calling for an international investigation into the coalition’s violations there.